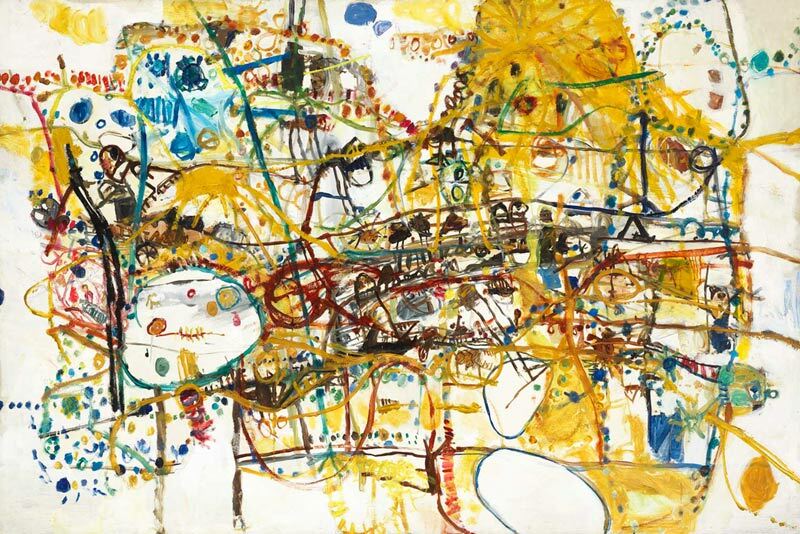 John Olsen fine art print titled People Who Live on Victoria Street, is a limited edition fine art reproduction print of only 35 prints, plus 3 Artist Proofs, like all Olsen prints they are hand signed by John Olsen and numbered. People Who Live on Victoria Street print, by John Olsen, carry’s a blind embossed stamp of a Kookaburra design drawn by John Olsen confirming the print validity. People Who Live on Victoria Street is available from Etching House, it has an Image size of 54.5 x 82cm and a Paper size 66 x 91cm. Olsen prints are printed on 100% 308 gsm thick archival acid free cotton rag watercolour paper using archival Japanese pigment ink.